You don’t need to be an activist or a hero to be aware of the shopping opportunities in your city. It’s perfectly normal; it’s your streets, your people and the stores you’ve know all your life. There are also new stores opening up. You feel like passing by and checking out what they have to offer. It’s perfectly normal: the good, the bad, the familiar….you like your city. It’s yours. 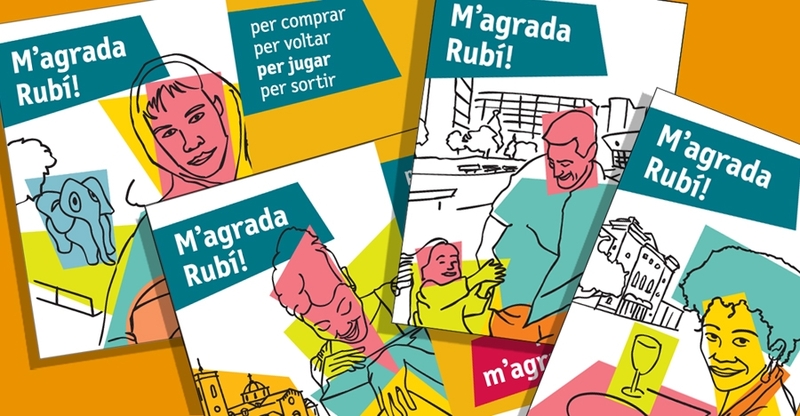 We thought about all of this while developing the city branding campaign“M’agrada Rubí!”(I like Rubi!) for this medium-sized city in the surroundings of Barcelona. Most of the people from Rubi, most of its citizens, love and feel a very personal attachment to their city. They can be critical to the point of being sarcastic, but deep down they are very connected to their little bit of earth under the sun. For this reason we decided to declare it loud and clear, no holds barred: I like Rubi! To buy, to go out, to play, to stroll… to live: I like Rubi! 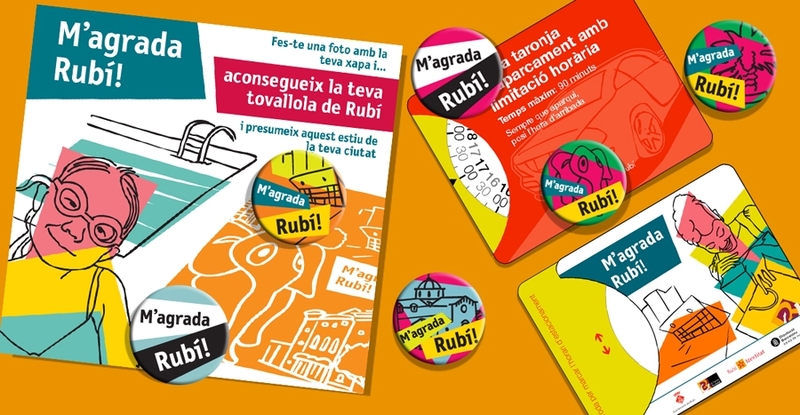 As well as displaying visual materials in public spaces, we also spread the word using guerilla tactics: stickers and badges were distributed during a special occasion: the “Festa Major” (the town party). There was no better time: with everyone in the street enjoying “their” town party. We made an open invitation (and there were a lot of responses) to take a photo with the badge on, upload it to the campaign mini-website, explaining why they like their city: because it’s where my friends live….because I moved here when I was 4 years old….because it’s where I met my wife….a thousand reasons. All of them good. 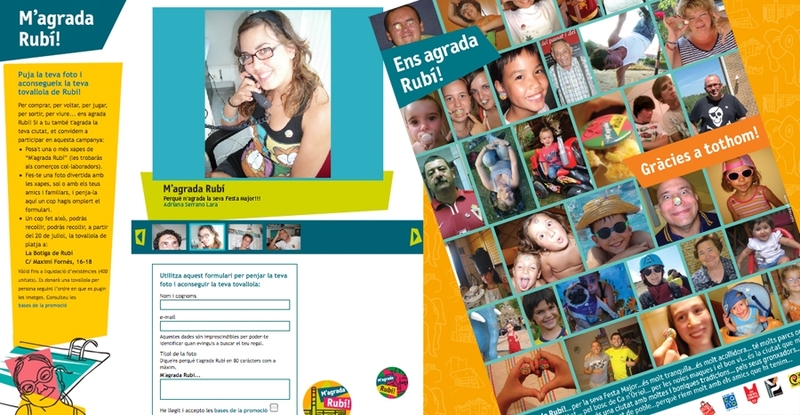 The first 400 photos won an “I like Rubi!” beach towel. In less than a week they were all gone.